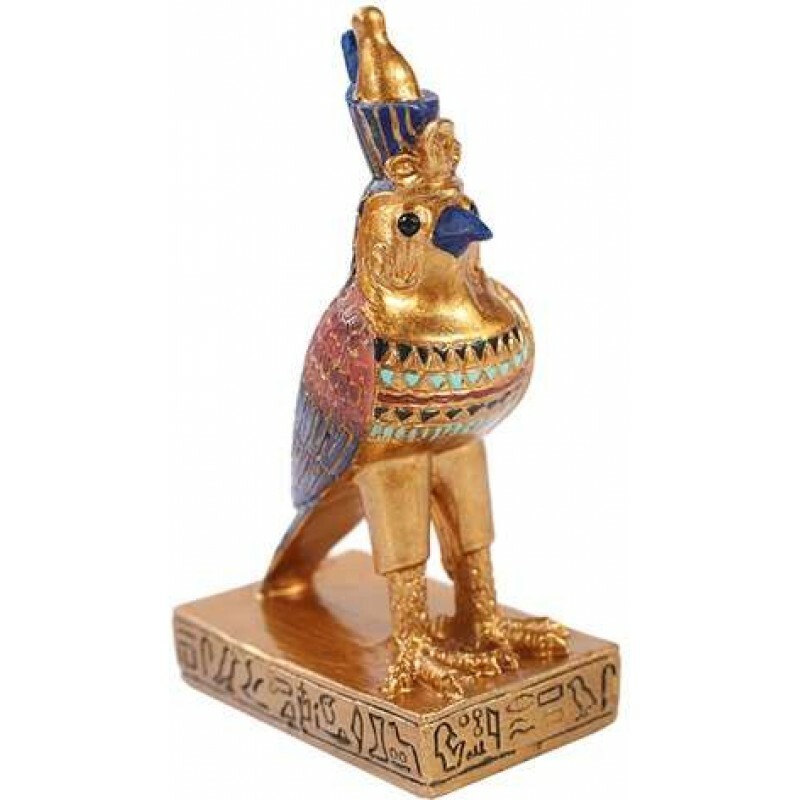 Horus was represented either as a falcon-headed man or as a falcon - here he is in a tiny 3 1/8 inch statue with amazing detail. Horus is the Falcon-God ‘Lord of the Sky’ and symbol of divine kingship. 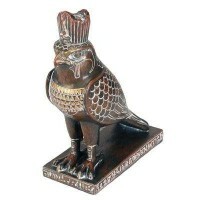 The name Horus is a latinized form of the greek “Hores” which in turn derived from the Egyptian “Hor”. This name comes from the same root as the Egyptian word for ‘the high’ or ‘far away’. The sky was represented by the wings of Horus and his two eyes symbolized the sun and the moon, with the right eye being the sun and the left, the moon. The phrase “the eye of Horus” usually refers to the moon eye. It was this eye that was lost to Seth and later, after being recovered, presented to Osiris to aid him in his resurrection. 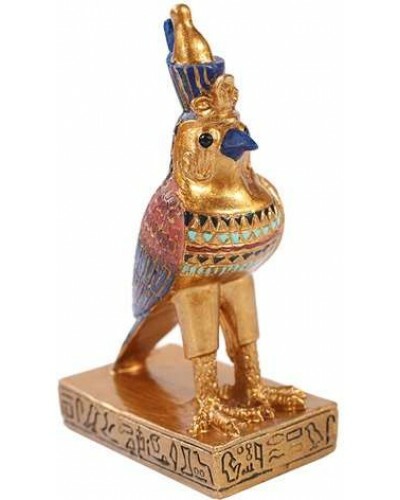 The falcon was sacred to Horus from the earliest times and the image of a falcon on its perch became the hieroglyphic symbol representing the word “God”. In ancient Egypt, the Pharaoh was seen as a manifestation of the ‘living Horus’ on the throne of Egypt and each succeeding Pharaoh used the name of Horus as the first of his titles. 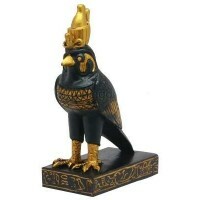 This cold cast resin statue is a wee 3 1/8 inches tall with hand painted color detail. Item Number: PT-10855 | Approximate Size (Inches): 2.18 wide x 1.25 deep x 3.18 high | Approximate Shipping Weight: 0.50 lbs.